Rekindle your love for fall! Are you ready for insider access to secret soak menus, early-bird sales opportunities along with Wake Insider-only sales, and events? Sign up at the link to be a part of our Wake Insiders Program! 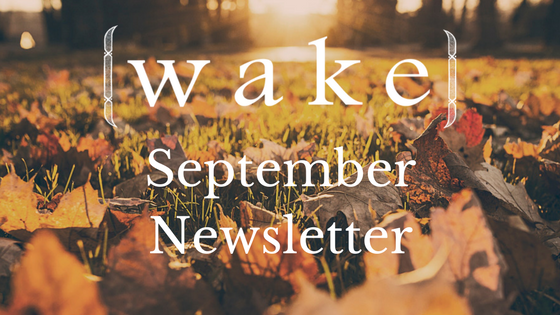 As a Wake Insider you’ll receive a separate quarterly newsletter that will give you all the VIP treatment Wake has to offer. We can’t wait to give our guests opportunities to be involved in every step of the Wake magic. Sign-ups are open for only a week after this newsletter is released so hurry and get your insider status today! Wake Insiders who sign up this week will also get access to our luxurious secret soak—an off-menu treat just for Insiders. We are so excited to have been mentioned in the latest about Asheville and wellness opportunities for travelers. Read more about what USA Today has to say about us here. Benefits of Salt – What Does Salt Do For You?